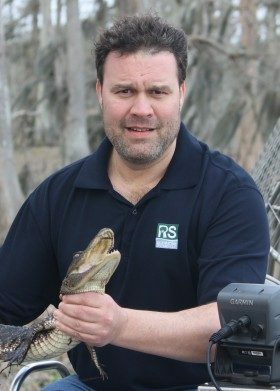 Restoration Systems, LLC, founded in 1998, is a leading environmental restoration and mitigation company with more than 50 bonded mitigation banks and turn-key restoration sites in eleven states, which total more than 120,000 acres of wetlands and prairies, and 60 miles of creeks, streams, rivers and bayous. We are very interested in feedback on our existing projects and contacts regarding new projects. 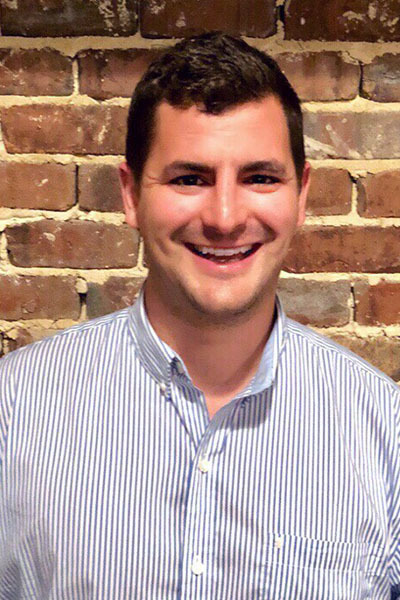 George is responsible for identifying growth opportunities for Restoration Systems outside of North Carolina and for the implementation of innovative mitigation in North Carolina. He is also a respected speaker for legislative and mitigation policy progress in the industry as a whole. Working as staff in the United States Senate in Washington, D.C. from 1990 to 1996, George was responsible for environmental public policy, particularly wetlands, water quality and species issues. He recognized mitigation banking as an opportunity to return home to North Carolina and moved to Raleigh in 1996 to help sponsor the state’s first successful large-scale mitigation bank — the 660 acre Cape Fear Regional Mitigation Bank, now in its 18th year of documented ecological success. 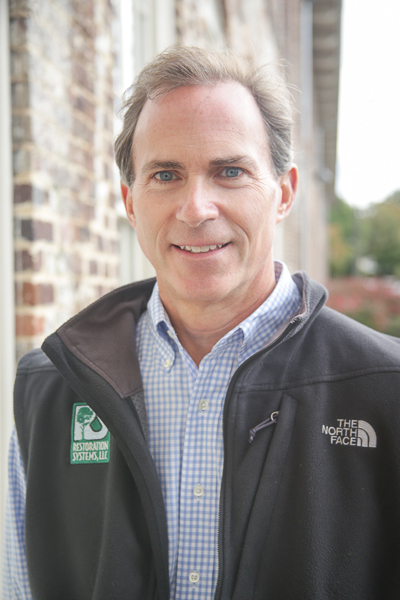 His determination to make North Carolina a leader in private sector environmental mitigation led George to found Restoration Systems with John Preyer in 1998. 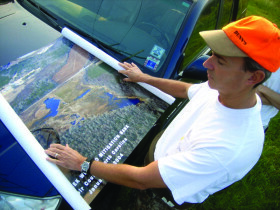 George has produced a number of cutting edge mitigation projects for Restoration Systems; including, the nation’s first large scale dam removals for compensatory mitigation, the nation’s first two retail water quality and nutrient off-set banks, and the largest stream mitigation bank in the United States (servicing Harris County and Houston, Texas). George has testified to the U.S. Congress in support of the industry, is a former six year Director of the National Mitigation Banking Association, and a regular presenter at regional and national environmental conferences. He was appointed in July 2012 by North Carolina Senator Pro-Tem Phillip Berger to the newly formed NC Mining and Energy Commission, charged with writing the rules for natural gas exploration in North Carolina, and in 2011 as a Trustee of the North Carolina Clean Water Management Trust Fund. In 2006 then Governor Michael Easley named George to the state’s Land and Water Conservation Study Commission. He recently joined the boards of the North Carolina Museum of History Associates and the First Flight Foundation of Kitty Hawk, North Carolina. A 1989 Political Science graduate of the University of North Carolina, George grew up in rural Guilford County along the Deep River. He is the grandson of two engineers, and continues a family tradition of water related heavy construction. The former Paul N. Howard Company and Howard International completed more than 4,000 water quality projects in the Southeastern U.S. and twenty foreign countries. George and his wife Pam have two children, Georgia (12), and Henry (9), and live seven minutes from RS in Raleigh. 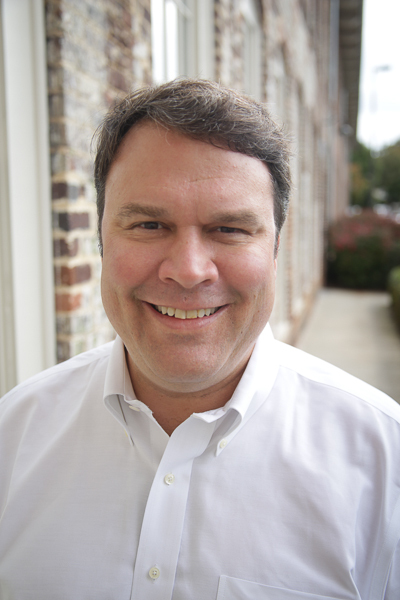 John Preyer is the Co-Founder, President and Chief Operating Officer of Restoration Systems. His work in environmental restoration and environmental policy started in 1992 when he served as Legislative Director for U.S. Senator Lauch Faircloth of North Carolina. As Legislative Director he regularly dealt with numerous federal regulatory agencies including the Army Corps of Engineers, the U.S. Environmental Protection Agency, the U.S. Fish & Wildlife Service and all corresponding state agencies.In 1998 John joined with former Senate colleague George Howard and founded Restoration Systems. In 2002 John was instrumental in securing the site which provided all off-site compensatory mitigation for the Federal Express Cargo Hub expansion at the Piedmont Triad Airport in Greensboro, NC. At the time, it was the state’s largest economic development project with a projected value of $1.8 billion. From 2002-2006 John served on the board of the NC Coastal Federation. Before joining the board he worked closely with the Coastal Federation’s executive director on obtaining the land for their North River Farms restoration site, which would become a marquee example for large scale coastal wetland restoration efforts. In 2007, John worked with the NC General Assembly to amend a state law that required all mitigation efforts for non-point source nitrogen and phosphorous loading in the Neuse and Tar Pamlico River Basins, which both had state water quality rules in place, be performed by the state operated in-lieu fee mitigation program. This eight-year monopoly precluded private mitigation banks from selling nitrogen or phosphorous credits. The law was changed in 2008 and RS permitted the state’s first water quality mitigation bank to offset non-point source excess nitrogen loading in the Neuse River Basin. Since that time, competing water quality mitigation banks have been permitted, providing competitive pricing and additional up-front, functioning and in the ground mitigation. A graduate of the University of North Carolina, John lives in Chapel Hill with his wife, two children and a dog. 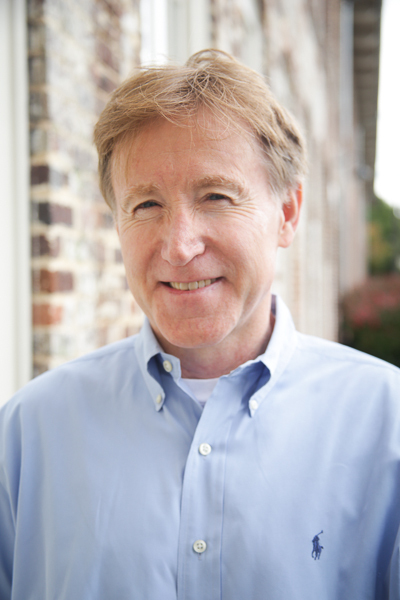 Buzz joined Restoration Systems in 2013 as Chief Financial Officer. He grew up in a small town in Southern Illinois and spent as much time as possible enjoying the outdoors, gaining a strong appreciation for wildlife and conservation efforts. After graduating from Southern Illinois University he started his career in St. Louis, Missouri with a Fortune 500 company. There he learned the ropes of business operations and was soon assigned to North Carolina as controller for one of the company’s divisions. Buzz’s certifications include CPA (Certified Public Accountant), PMP (Project Management Professional), and Lean Six Sigma (Black Belt). He is a long time resident of Chapel Hill, NC with his wife Tina, three children and his trusted hound, Knox. Buzz pursues many outdoor activities and counts tennis and fishing among his favorites. SCUBA diver and decided to pursue an education on, and under, the water. Jeff earned his Bachelor of Science degree in Marine Science from the University of South Carolina and a Master of Science degree in Oceanography from the University of Rhode Island, Graduate School of Oceanography. From 2006-2009, Jeff served Virginia Governor Tim Kaine as his Assistant Secretary of Natural Resources and worked with the Commonwealth’s six natural resource agencies. Jeff’s responsibilities involved many different aspects of protecting and restoring Virginia’s natural resources, including water, air, fisheries and land issues. Before working for Governor Kaine, Jeff served for nine years as the Virginia Deputy Director and Senior Scientist for the Chesapeake Bay Foundation. During that time he was an outspoken advocate for environmental protection throughout the Chesapeake Bay watershed. His duties involved various aspects of science, policy, education, legislation, advocacy, and media relations. Jeff and his wife moved to Richmond, VA in 1996 and live there today with their two sons. An avid angler, Jeff likes to spend his spare time exploring the local rivers. Worth Creech came to work for RS in 2001 and serves as Vice President of its Southeast Division. He earned a B.S. in Construction Technology with a Minor in Geography at Appalachian State University in Boone, NC. After graduating, Worth managed the construction of several kidney dialysis centers and medical offices, then joined RS working in monitoring, site acquisitions and project management. 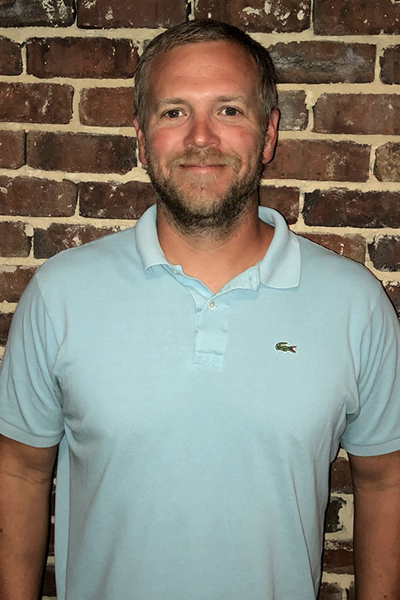 Today, he has over 15 years’ experience in environmental construction and over 50 projects under his belt, including the first wetland restoration project in Louisiana to use sediment dredged from the Mississippi River- Jesuit Bend Mitigation Bank located X miles south of New Orleans. Worth has an unlimited General Contractors license in the state of North Carolina and is certified in Storm Water BMP and Maintenance. During his free time, he enjoys duck hunting and fishing and pursuing his lifelong interest in woodworking and construction. When not traveling to New Orleans, Worth is in Raleigh with his wife Emily and their three children. 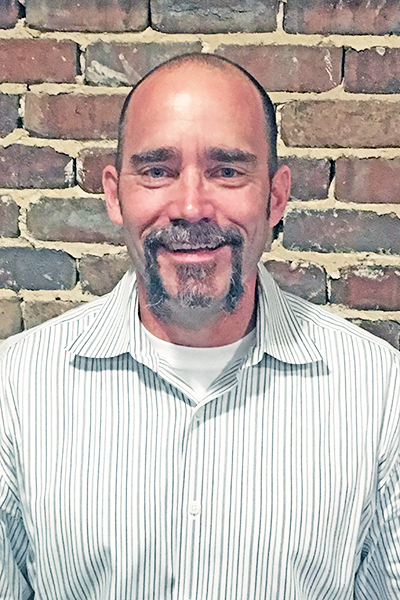 John “JD” Hamby is the newest member at Restoration Systems, joining the team in 2016. 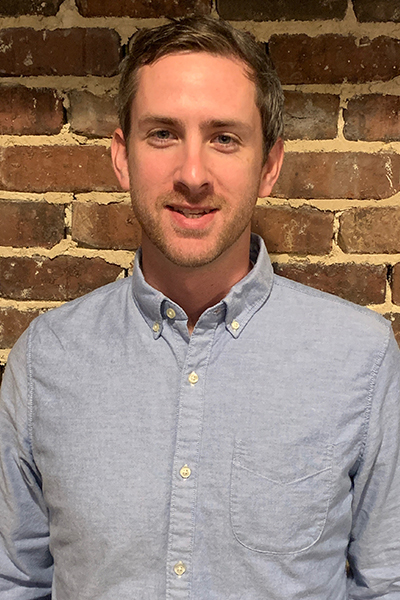 JD’s current role as a Project Manager has made him a jack of all trades, including identifying and analyzing future project sites around the US, overseeing site construction, maintenance and monitoring, and serving as company Drone Master. The wide variety of tasks keeps JD, on his toes, but the end result of cleaner water and the restoration of natural environments provides his motivation. JD’s current task is existing sites and project “closeouts,” but he is excited to soon be taking the lead and managing entirely new restoration projects for Restoration Systems. 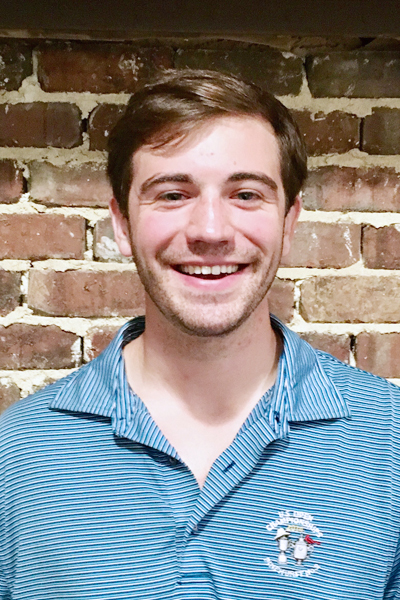 A native of Fuquay-Varina, North Carolina, JD followed in his grandfather’s and father’s footsteps by attending North Carolina State University, graduating with a degree in Agriculture and Resource Economics in 2015. His study of the convergence of environmental and economic capital sparked his interest in mitigation banking and made Restoration Systems a perfect fit for his aspiring professional career to take root. 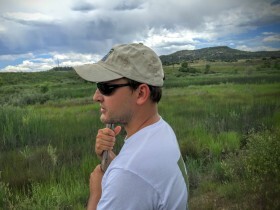 Because of his love of the outdoors, JD decided early on that he would be best suited for a position that allowed him to spend time outside of the office. He is an experienced water skiing/wakeboarding coach and boat captain. JD lives in Raleigh, and when he is not at work, he can usually be found either cheering the Wolfpack — or on any body of water where he can hunt, fish, sail, or ski. Ray came to Restoration Systems in 2010 as an intern and assistant GIS specialist. A native of Iowa, he has spent his whole life making maps, starting back in Montessori school when he would map the world through drawings and papier mache. Ray graduated from NC State University’s College of Design with a B.A. in Landscape Architecture and the following year RS hired him full-time. Tiffani Bylow joined the Restoration Systems team as Office Manager in 2006. 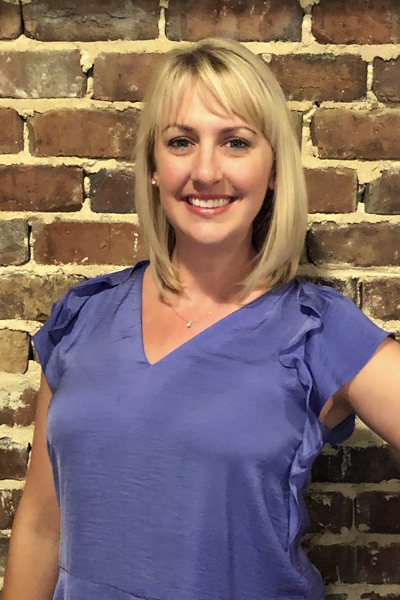 She attended college in Tennessee before moving to Raleigh, where she worked in accounting for Highwoods Properties, Inc. She has also worked as an Office Manager for Triangle Reprographics, Inc. and EHG, LLC, an environmental remediation company, where she gained valuable knowledge about the environmental industry. While Tiffani was hired as RS’s Office Manager, her role has evolved with the changing needs of the company. In addition to day-to-day accounting and human resources responsibilities, Tiffani handles all sales for RS’s stream, wetland and nutrient off-set credits, coordinating with engineers, developers and consultants who need credits for their construction projects. She is in charge of project management for the Milburnie Dam Stream Mitigation Bank and works with consultants, the Army Corps of Engineers and construction teams to keep the project on track and moving ahead. She is also responsible for RS’s technical proposal submittal packages to the Division of Mitigation Services, an agency of the North Carolina Department of Environmental Quality and other various state agencies. 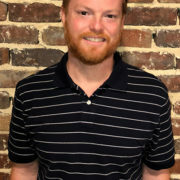 Barrett began work with Restoration Systems in 2006 after receiving his undergraduate degree in Environmental Studies from the University of North Carolina. His favorite projects include managing the creation of the private nutrient offset and buffer market in NC and negotiating the transfer of 1500 acres of riparian wetland mitigation for the North Carolina Global Transpark. Over the course of 5 years Barrett gained experience in the various facets of project development with Restoration Systems and developed and sold mitigation credit to over 100 public and private entities. He then spent five years between managing a hobby farm growing over 40 varieties of fruits and vegetables, working for an early stage mitigation company in Texas, and becoming a CPA by receiving his Masters in Accounting from the University of North Carolina and subsequently working in the assurance practice at EY. 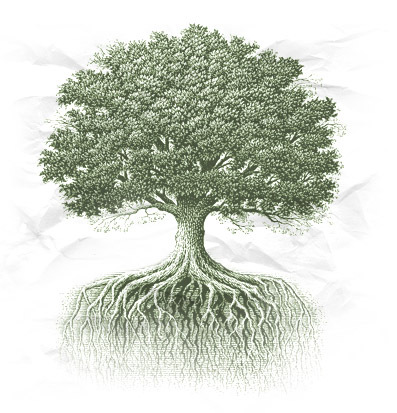 In 2016, Barrett returned full time to Restoration Systems and is currently responsible for the development and management of new mitigation projects. He loves the challenge of finding the balance that works between landowner, regulator, and developer, with the overall goal of improving the market for aquatic resource mitigation through practice. Barrett resides in Raleigh with his wife Brooke and daughter Lily. Alex joined Restoration Systems in 2018 as a senior environmental scientist providing his skills as a licensed soil scientist and professional wetland scientist. Alex grew up in Wilmington, NC where he enjoyed exploring the tidal creeks and the various ecosystems throughout the Coastal Plains. As a second-generation soil scientist, he has been fascinated by soil and water relationships from a young age. He had many opportunities while growing up to learn about land management and how to evaluate land. Alex elected to further develop his skillset by obtaining a B.S. in Natural Resources – Soil and Water Systems and a M.S. in Soil Science that focused on researching hydric soils of restored wetlands from NC State University. 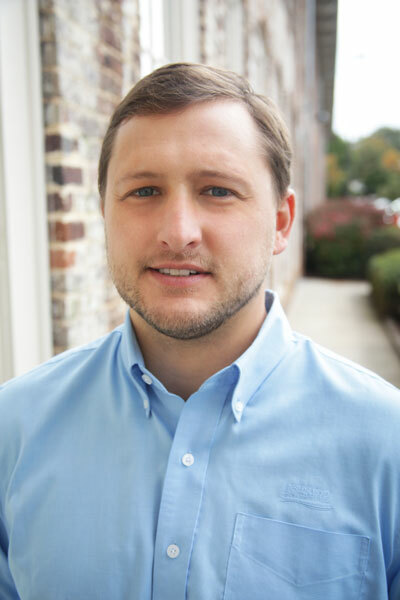 Alex began his career with Central Carolina Soil Consulting, where he evaluated land primarily for residential development projects. He gained experience in identifying soil types and limitations for on-site waste water systems and developing projects from conception through permitting to construction. 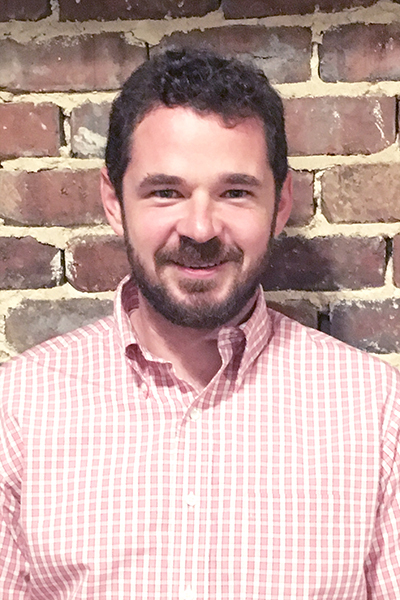 After three years with Central Carolina Soil Consulting Alex desired to shift directions towards projects that involved wetlands and streams. He transitioned to Stantec Consulting and honed his skills evaluating and assessing wetlands and streams across the U.S. for development and restoration projects for over seven years. Most recently Alex was privileged to accept a position with Restoration Systems to offer his technical expertise as it applies to site identification, project design and construction, and to resolve potential issues that arise during monitoring. He will support other aspects of project development and execution including GIS support, technical writing, permitting, and regulatory coordination. 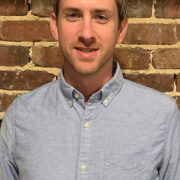 Alex is a member of the North Carolina Association of Environmental Professionals, Society of Wetland Scientists, and Soil Science Society of North Carolina. 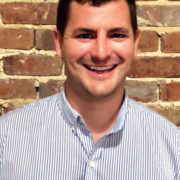 Alex lives in Raleigh, NC where he enjoys attending local music events, anything wolfpack related, and riding bikes with his wife Michelle and three children Lila, Mae, and William. Zack joined Restoration Systems in 2018 and serves as the company’s Vice President of the northern tier. In his role at RS, Zack is responsible for expanding the company’s operations across a multistate region. He provides RS with a wide range of land analysis and valuation expertise, acquisition, contractor and government agency coordination, landowner relations, and client solutions. He is a Pennsylvania native, and spent many of his early years exploring the creeks and valleys in the region. He graduated from Allegheny College in 2010 with a duel degree in Neuroscience and Psychology. While attending he participated in a service leadership program that eventually lead to an Americorp position at the United Way. In his spare time, he participated in cleanup efforts on the French Creek, and pursued research efforts to capture the elusive hellbender salamander. Association of Profession Landman and the Northern Appalachian Landman’s Association. Zack and his wife Tiffany live in the Pittsburgh area, along with their dog. They like to spend their free time in a kayak or on a trail. 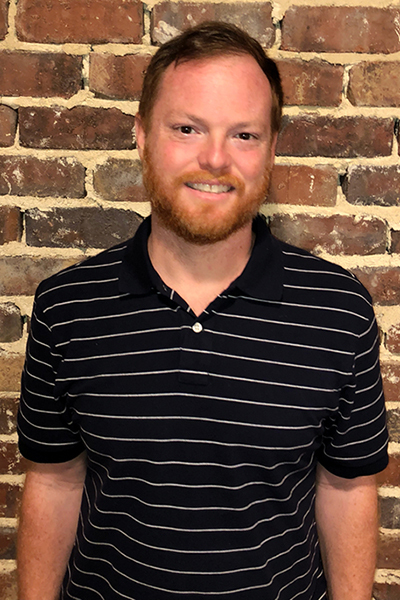 Matthew joined Restoration Systems in 2018 as a Senior Project Manager. He has previous experience in the environmental mitigation field, but most recently spent six years working in local government. His thoughtful and dedicated approach helps ensure that Restoration Systems projects consistently meet and exceed success criteria. In the office Matthew draws on strong research and GIS skills as well as project planning and cost estimation experience. In the field he keeps projects on track with an eye for efficiency and a strong background in ecology. He is a NC Certified Prescribed Burner, licensed herbicide applicator, and maintains involvement with the NC Chapter of The Wildlife Society. In past years he has actively served on the NC Prescribed Fire Council, NC TWS, and presented at the NC Invasive Plant Council annual meeting. A native of Middlesex, North Carolina, Matthew earned an Environmental Studies degree from the University of North Carolina. He has always enjoyed both open water and wetlands, and has a personal goal to paddle all the major rivers of NC. He lives with his wife and two children near Raleigh.